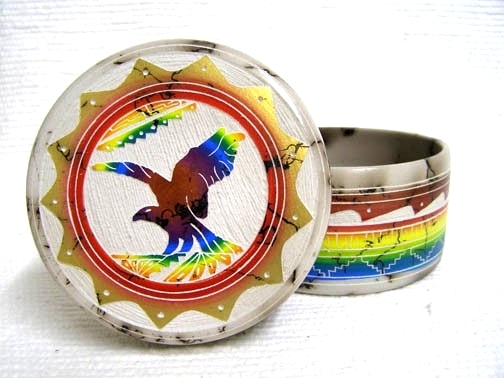 This fine etched horse hair jewelry box features a majestic sprawling eagle in brilliant colors on the lid of this small jewelry box. Eagle is the messenger between the People and the Great Spirit. 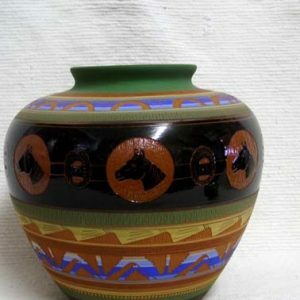 The bottom piece displays the colors of the rainbow along with beautiful horse hair frizzles. 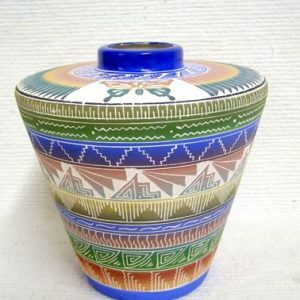 Each piece is different & unique. 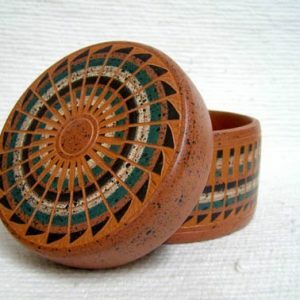 This handsome jewelry box by Navajo artist Marshalene Bennett is perfect for keepsakes or that special piece of jewelry. 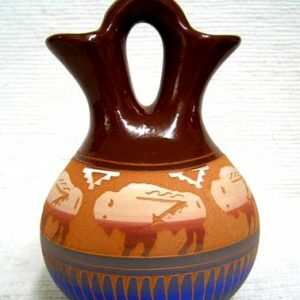 This unit measures 3.5 inches tall x 4.5 inches in diameter.